Why, how, and what have I learned recently? (1) I'm always looking for ways to teach more effectively, so all summer long I've been reading books and reflecting on my learning in blogs and now beginning to work those ideas into my unit plans for the coming school year--from using podcasts and TED talks as mentor texts for speaking/listening skills to having students brainstorm their own questions in response to a unit's essential question. (2) When our doctor advised us to monitor our blood pressure by diet, I read the information he gave us, did some research online, and experimented with new recipes. (3) Because I have to lead a science curriculum review next year, this English-teacher-turned-curriculum-coordinator has been reading up on science standards, networking to collect textbook recommendations, and preparing a Google Doc to share. I would dare to say that as adults, we are all learning a lot almost all the time. And it's because we have a problem to solve or a project to accomplish. Could we make school more that way for students? 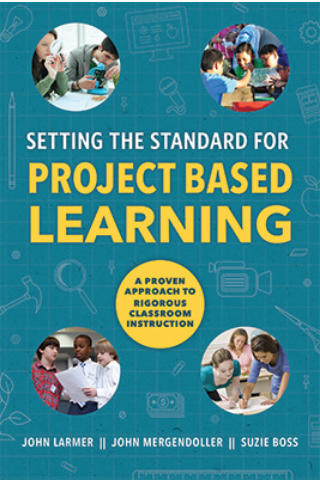 When I first started hearing about project based learning, I thought, “I do that because my students do projects.” But those projects were what the authors of Setting the Standard for Project Based Learning call “dessert projects”—students do all the learning, and then as a reward or an assessment, get to do a project. Project based learning turns the whole process on its head—prompted by the project or the task, students learn what then need in order to accomplish it. 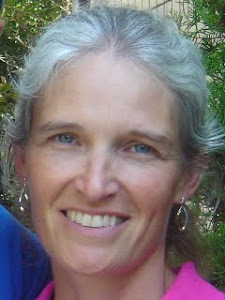 For example, instead of doing pages of practice on finding the area of various 2-dimensional shapes first, and then as “dessert” having students determine how much paint is needed for a given project, you start out presenting students with the design problem and then teach them what they need to know to do it. (Check out this article for more about dessert vs. main course projects.) This is more engaging for the students because they know why they are learning, it’s more satisfying for the teacher because students are more motivated, it’s preparation for life where we are continually encountering problems that we have to learn and collaborate in order to solve. And if that’s not enough, students also do better on high-stakes tests because they’ve been motivated learners and have deeply understood the content and skills. Collaboration: Often cited as an important 21st Century skill, it’s a big no-no for standards based grading (my 2nd read of the summer) but an essential element of project based learning. There are no easy answers, but that’s one of the challenges that keeps teaching interesting! Resources: Possibly the best thing about this book is all the web-based resources scattered throughout the text. I put little stars in the margins next to many of them—next time through the book, I’ll have to check out more of them. There are "real life" resources for business problem-solving and brainstorming (like here and here), and sites with sample projects and most importantly, the Buck Institute for Learning where you can find everything PBL. Other educational initiatives: Project based learning incorporates many of the tenets of other educational initiatives I’ve been working on already, like differentiation, Understanding by Design, and the workshop model. Tenets like starting with the goal in mind, giving students voice and choice, teacher as coach to help students reach their goals, and authentic assessments that are as like real world tasks as possible. What will I do? Continue to hone the clarity with which I focus students on the end product from the beginning and help them see what we learn along the way as essential to the end. Implement the step of having students brainstorm additional questions after I’ve introduced the big unit question and goal. Possibly frame one 10th grade unit more as a straight-up project based unit. And offer a book discussion on this book next spring where I can get some colleagues to think through it all with me.